What the biggest loser diet plan is all about. Remember the big hit TV show, “The Biggest Loser” I watched it all the time. It was a very dramatic approach to weight loss and full of intrigue. Plus lots of money to the winner and it certainly kept the viewers glued to their television sets. It was good entertainment with all the high drama thrown in. All the contestants had large amounts of weight to lose and some had some serious health issues. It was certainly enjoyable to watch the pounds melt off at least while I was sitting home watching, without having to do push-ups or run a mile. Very entertaining. I had to give the contestants credit for their determination and grit to do all this with a camera following them around every minute. Their every move was scrutinized by their coaches and trainers and the TV audience. It was very monitored and regulated by the programs staff and certainly geared to “prime time” TV. The biggest Loser had 17 seasons on the air and featured 12 to 17 contestants each season. They all left their homes and families to take part in the show. You had to give them credit for doing this, because they were gone for a long time and its hard to leave your family. Whoever lost the most weight by the season end of the show was the “Biggest Loser” and received all kinds of prizes, mostly money. So, that was the show, with all its excitement. It made many overweight viewers want to go out and duplicate their results. What did the contestants do to have such dramatic weight losses. Their diet was decided well before by all the profession staff that ran the show. After a complete physical and getting a green light to continue, the contestants were given a strict diet to follow. 3. Whole grains 1/2 cup rice or whole-grain English muffin. No food was off limits, but high calorie and high fat foods were very limited. Desserts and alcohol were limited to 200 calories per day. No processed foods and very strict portion control. This diet has helped prevent or improve diabetes, help cut the risk for cancer, improve high blood pressure, improve heart health and just overall improved your health. So, I would say it would be a great approach to getting thin and healthier. A very normal low calorie diet without all the fanfare of so many diets we see advertised, with all the hype. Here today, gone tomorrow. It just goes to show you that simple is just as good as all the fancy diets that are making the rounds now. Also, all the health benefits come from getting the weight off, once and for all. No more yo-yo dieting. If you are serious, and I would be, if my health was threatened by my excess weight, as we all should be. I think the exercise on the “biggest Loser Show” was excess, but, let’s face it. It was a T.V. show and It needed all that drama. Have you considered doing the Biggest Loser Diet at Work? It could be a lot of fun, plus, the commitment can really encourage you to get moving and get healthy. This is a good time to get serious about losing weight, with vacations around the corner and bathing suit time almost here, what better time. A good time to get motivated and getting the added support from coworkers really helps. Here are some suggestions to get the party rolling. Ask around, and see if it would be something your fellow employees would be interested in. Check with the bosses and head honchos. Make sure its acceptable in the company’s policy. 1. Set up a meeting with all interested parties involved. You will need guidelines and a set of rules to follow. 2. Get the information out there, people don’t know what they don’t know. 8. Find a person to conduct the weight ins and record the information. Someone that does not want to be involved in the challenge. 9. Designate a private area for weigh-ins. 10. Decide on the charge or cost to participate. You definitely need some incentive to do this. 11. Decide how the money will be distributed, weekly, monthly, prizes or cash. Or one big cash prize at the end. Winner take all. 12. Cost or Fee How much are you going to charge? You want to make it affordable, but also enough to entice people to join and work at it. 13. Keep a record of the Biggest Loser Rules. Also, the time-frame. All the particulars. Are you going to have teams or individuals. 17. How calulate score for weight loss. 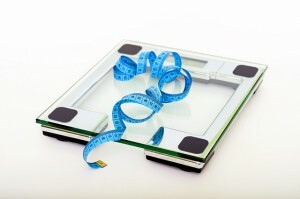 The fairest way is percentages of body weight rather than pounds on the scale. It’s the fairest way. 18. Notice of when weight- in are going to be recorded. 19. Attendance requirements. How many weight-in can you miss. 20. Use down time, for everyone to go over their challenges, strengths, and success during the past week. 21. Set up a walking program or exercise DVD if time allows. 22. Organize a group sign-up for a charity walk, 5K or 10K race. 23. Talk to a local fitness facility to set up a group program with an instructor or trainer. The sky’s the limit. Depending on how large a group you have you can give all kinds of great prizes. A trophy, cash, a Spa trip, or even membership in a local gym or sessions with a personal trainer. Something to have fun with. Just don’t let it interfere with work! The biggest loser is a really challenging programme. I don’t have any knowledge of this programme. Your writing explains very elaborately indeed. While reading this post, I was thinking that the contestants got a golden opportunity to maintain their weight. Even if they can’t go through dieting the rules of this programme will push them anyway. A kind of reality show with so many benefits. This is simply awesome.